Welcome to the Taylor Chiropractic website! Taylor Chiropractic is one of the longest continuously functioning chiropractic healthcare centers in southwest Michigan, and was founded by Dr. Ralph S. Taylor in 1948 following graduation from the National University Chiropractic doctoral program in Chicago, IL in the fall of 1947. Since that time, the clinic has provided high quality natural chiropractic healthcare to generations of patients from all over southwest Michigan. Dr. Ralph's son, Dr. Jeff Taylor has been relieving pain and restoring health for patients in the Otsego/Plainwell communiies and surrounding area since 1982. He has been in continuous practice specializing in natural chiropractic healthcare for almost 42 years. Dr. Jeff practiced in southern Missouri for 10 years following graduation from the National College of Chiropractic (Now National University of Health Sciences) doctoral program in Chicago, IL in 1971, and returned home to the Otsego area in 1982. Dr. Jeff was joined in practice by his son Dr. Brett as a third generation of Taylor doctors of Chiropractic in Otsego make the practice of natural chiropractic healthcare their life's work. Dr. Brett graduated from the Logan College of Chiropractic (Now Logan University) doctoral program in Saint Louis, MO in April of 2011. The Taylor Dr.'s are joined by their caring team of Chiropractic assistants, certified therapeutic massage therapists and additional staff in their commitment to bring you, your family and friends the best of health and a better way of life through the safe and effective principles of quality natural Chiropractic healthcare. Taylor Chiropractic is well equipped, with new generation cutting-edge chiropractic treatment technology. "I started coming to Taylor Chiropractic because of lower back pain. 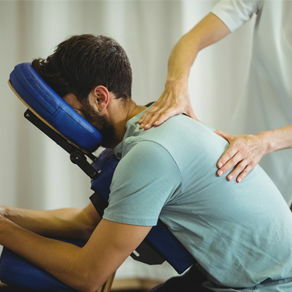 I had seen a chiropractor before, so I knew they could help with the pain. My pain has greatly reduced in intensity since seeing Dr. Brett. He is very aware of what his patients need and their hours worked great with my schedule. The staff is very nice and friendly. I like that they treat their customers like family. I would highly recommend them to friends and family."